There are many options for secondary containment and filtration of oil-filled equipment, but one secondary containment solution does not fit all. We work with our customers to develop ideal solutions for their site-specific challenges. Traditional SPCC secondary containment and diversion methods for oil-filled equipment, such as earthen berm walls, concrete moats, or corrugated walls, are often expensive and labor intensive to build, and incur ongoing O&M costs (and labor) to process water. Because of these common problems associated with secondary oil containment, we developed a variety of custom solutions, using our revolutionary oil filtration technology. Over the years, these solutions have evolved and adapted for use in a multitude of applications and industries. 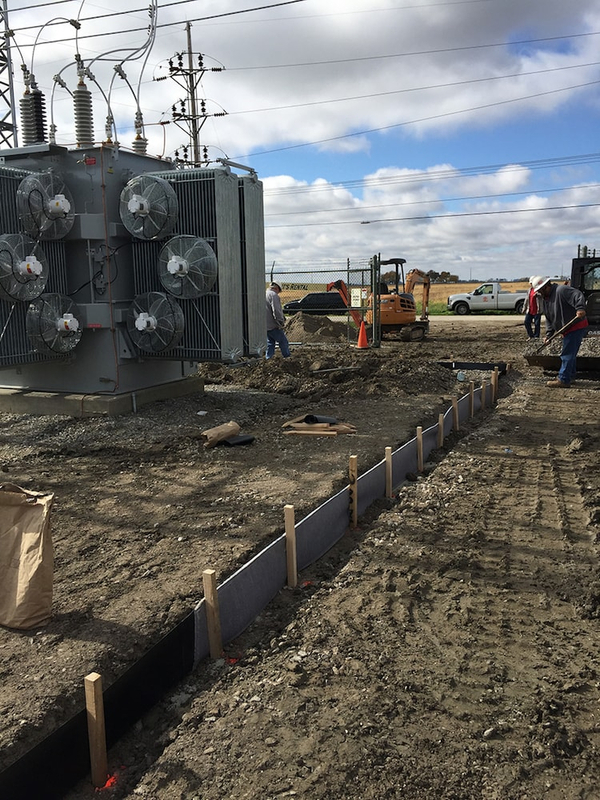 Site-specific variables help determine which of our integrated solutions to install around a substation or transformer site. These variables include subsoil type, site topography, space or depth constraints, aesthetics, and many more. With variables differing from site to site, the design of the oil containment system will also change. Permeable or pervious soil, such as sandy or undetermined soils, will leach oil and water into the ground and possibly, into ground water. They require some sort of liner or seal when secondary containment is installed. Non-permeable soils, such as clay, are considered by the EPA to be impervious and do not require a liner or seal. The liability associated with any substation located near navigable water is much greater than that of other locations and needs to be assessed as such. The Clean Water Act offers a broad definition of "navigable waters," which includes, lakes, ponds, rivers, streams, oceans, harbors, etc. For substations requiring access for trucks and heavy equipment within the boundaries of the oil containment area. Generally, containment should be installed above the high water table, which requires flexible and, in many cases, redundant containment solutions. Sites may have space limitations, due to natural geological formations or physical structures near the substation. This often limits the available footprint within site or restricts the length and width of the oil containment area. Sites may have physical space limitations such as high water table, existing utilities underground or existing grounding grids, which limit the available depth. In very cold climates, temperatures below 20 degrees F may affect the flow of hydrocarbons in the event of a release. Containment is above ground level; depth of gravel required generally creates an above-grade berm. Containment area devoid of at least one of the three elements necessary to maintain a fire (heat, fuel and oxygen). Oil containment areas covered with at least 12 inches of stone ensures the lack of oxygen needed to sustain a fire. Duplication of critical containment functions, such as preventing the migration of hydrocarbons away from the containment area, to provide additional levels of protection in case of system failure. High flow rate for rain water through filtration media with low head pressure (low head is defined by 12 inches). Containment must be visually appealing or below grade. If your existing substation oil containment doesn’t meet your needs, we also offer solutions for repairing, retrofitting or improving existing containment. 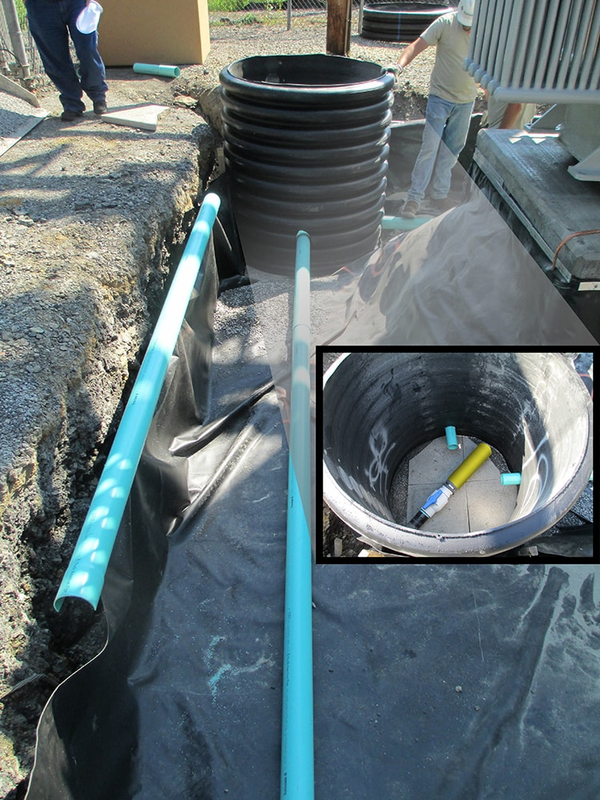 Barrier Boom is a simple secondary oil containment solution suitable for impervious subsurfaces such as clay. The Barrier Boom wall allows water to flow unimpeded during normal rain or snow events, but becomes an impervious barrier that prevents hydrocarbons from leaching out in the event of an oil release. 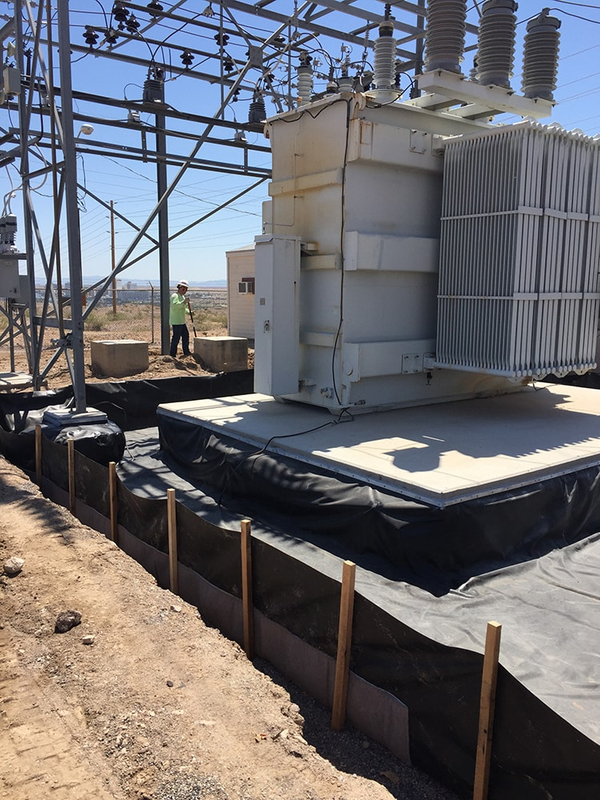 The Geomembrane Liner with Barrier Boom system is a secondary oil containment solution best suited for containment around the transformer, rather than the perimeter of the substation. Storm water flows through the Barrier Boom panels, which are composed of an innovative filtration media capable of a high water flow rate, while blocking the passage of hydrocarbons. If a large release occurs, the polymers in the panels solidify and shut off, preventing any oil from escaping the containment site. The HFF Oil Stop Valve filters and processes rain water as it drains, while reducing hydrocarbons to a non-detectable level. The HFF contains solidifying polymers capable of capturing and encapsulating all organic hydrocarbons, such as sheen, gasoline, diesel, refined oils and more. In an oil spill situation, the HFF will automatically shut off and prevent hydrocarbons from leaving the site. Each HFF is custom built to process water at a pre-determined rate specified by the customer. To perform effectively, the HFF requires a minimum of 1 foot head pressure or should be installed at a 10 degree slope to push the storm water through the filter. The Geomembrane Liner with HFF Oil Stop Valve is a containment solution for carse or cracked subsoils to prevent oil from leaching out. The HFF filters and processes rain and storm water, while reducing hydrocarbons to a non-detectable level. In the event of a significant release, it will automatically shut down and prevent oil and other organic hydrocarbons, such as sheen, gasoline, diesel and refined oils, from escaping the oil containment area. Each HFF is custom designed to process water at a rate specified by the customer. 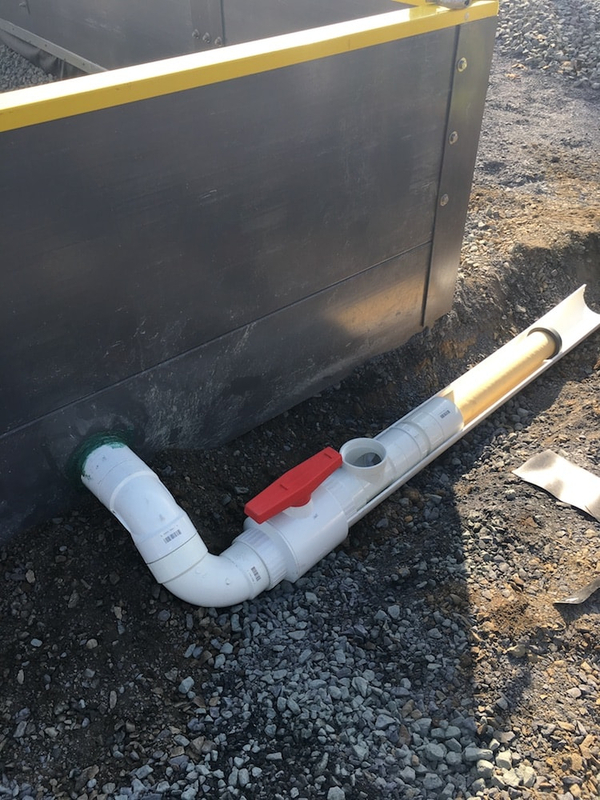 To perform effectively, the HFF requires a minimum of 1 foot head pressure or should be installed at a 10 degree slope to push the storm water through the filter. The threat of fires is always present when dealing with oil-filled equipment such as transformers. Because three vital elements must be present at all times to maintain a fire (oxygen, heat and fuel), this threat is often exemplified when substations use fire-quenching and oil retention pits as their secondary oil containment systems. Below-grade secondary containment systems, such as our geomembrane liner with barrier boom system, provide a safe alternative to potential pool fire situations. This "bury and forget" application eliminates two of the three elements necessary for a transformer fire. Because the systems are covered with 12-inches of clean, washed stone, the flaming oil is cooled as it passes downward through the stone. The stone also limits the oxygen required to support the blaze, thus quenching the fire. Can our maintenance trucks drive over the Geomembrane Liner with Barrier Boom oil containment system? Driving on the containment unit is not a problem IF the installation has planned for such activity. What is needed is 6 inches of pea stone below the liner and geotextile fabric placed on the floor before backfill. The deeper the containment unit, the less concern about vehicle traffic.